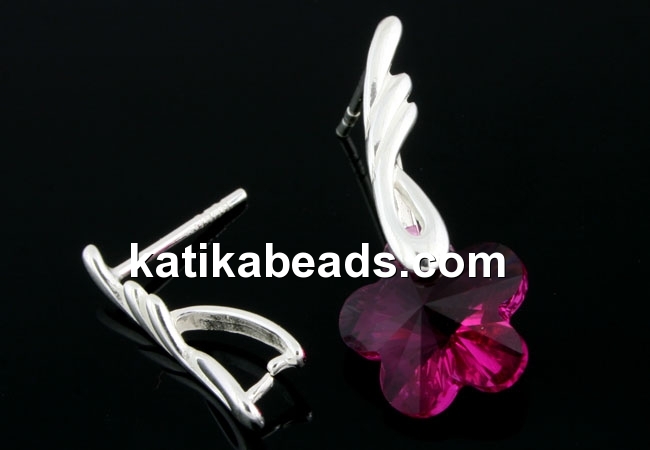 Earring findings, 925 silver, marked, size: 17mm. The price is for 1 pair. The product shown in the image is used by way of illustration and can be purchased from the Swarovski pendants.